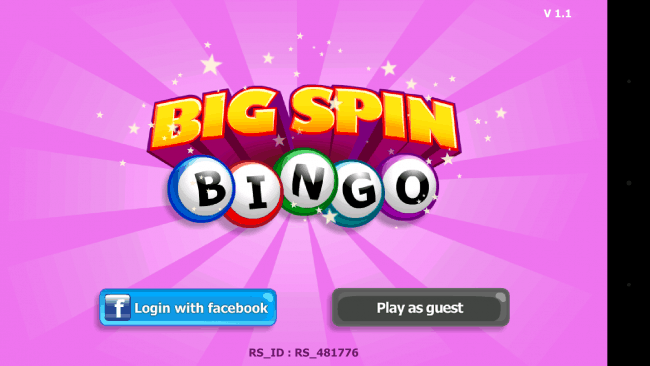 Description: Big Spin Bingo is an Android game that is obviously all about playing Bingo, but it brings something new to the table as well. Where other games will ask you to bet money on a bingo card, Big Spin Bingo is a game solely meant for enjoying Bingo for what it is. 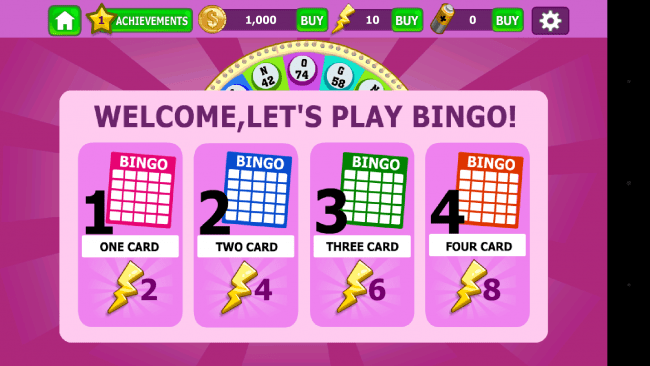 You can play the classic game that you know and love as well as try out a new type of Bingo called Power Bingo. This new game mode adds in power-ups and extra features to update Bingo with some arcade-game like experiences. You can play with up to four cards at a time and all the numbers are called out by a clear and easy to hear female voice, making the game feel a little more personal right away. How it Works: Before you can start filling up those bingo cards, you first need to download Big Spin Bingo from the Play Store. Once you’ve done that, you can go ahead and start playing. You don’t have to sign in with Facebook, but if you’re looking to play with friends, it’s a good idea to do so. Right now, there are two game modes to choose from, including the Power Bingo mode, which gives you some extra power ups and such to play with. I’m going to play Classic Bingo to start off with though. To play any type of game, you’ll need to purchase cards, you can play with as many as four. How many cards you can buy depends on how many lightning bolts you have. If you know how to play Bingo, then you’ll have no trouble here. The numbers are spoken aloud by a female voice and you all you need to do is touch the right number. Each time you do so, you’re awarded xp, and when you land on a gold-colored square, you get some coins as a bonus. When you think you have bingo, just hit the button to call it, and you’ll be awarded one if you have one. 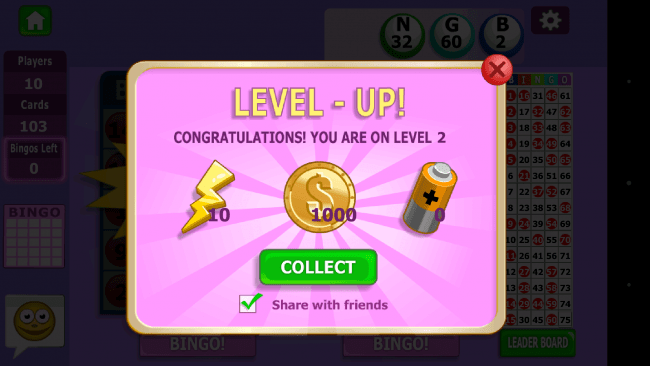 When you level up (from playing and winning games) you’ll be awarded more in-game currency to enter more games with. Opinion: Big Spin Bingo is at its core, a great Bingo game. However, it’s really not much more than that, but that’s fine as the game does exactly what it sets out to do; allow people a better way to play Bingo. Nice touches that I appreciated were the spoken numbers by a human voice and the easy UI that’s easy to use and to follow along. Power Bingo is a good idea, but for a lot of Bingo fans, it’s just more of the same which is why I preferred to just play Classic Bingo. Bingo fans both on Facebook and off of Facebook should give this a go as it’s one of the better Bingo games that I’ve played for a while and worked fine for me. 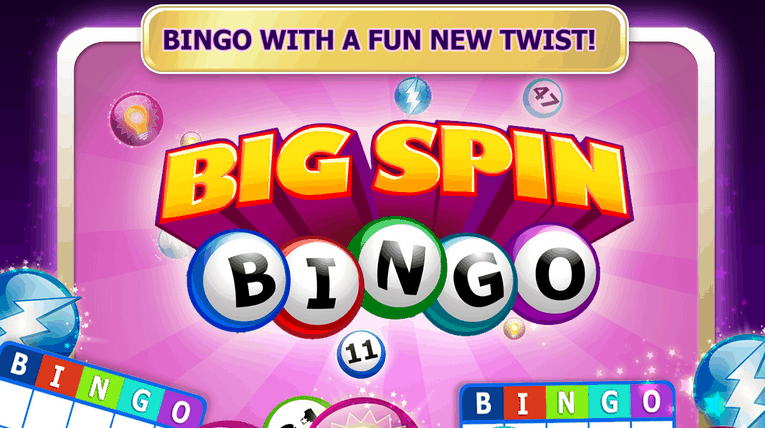 Speed (4/5) – With a speedy UI and quick waiting times in between matches, Big Spin Bingo is quick to play bingo with. 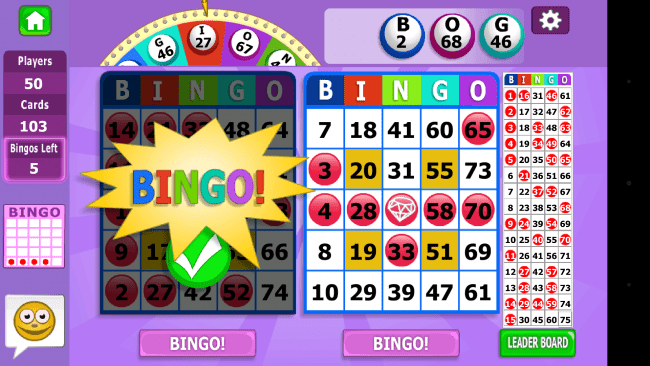 Features (4/5) – It might be another Bingo game, but the Power Bingo mode does add something a little different. Theme (4/5) – The game looked good on high-resolution displays and the spoken-aloud numbers make for a good atmosphere to play Bingo. Overall (4/5) – A decent Bingo game that doesn’t try too hard to mess with an already formula, Big Spin Bingo is a fun game. Easy for Bingo veterans and new players to get to grips with. No need to bet money on Bingo cards, this is a game purely for fun. 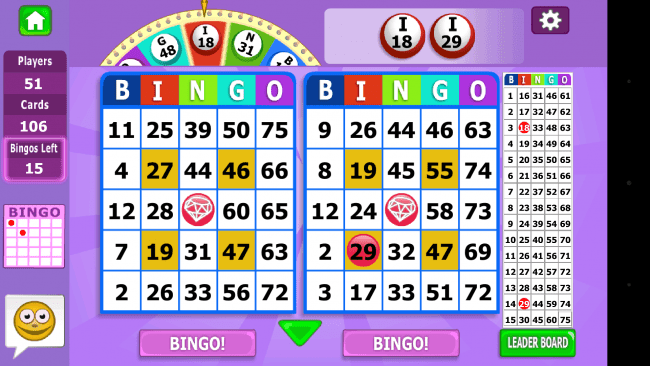 Bingo numbers are spoken aloud as they come up, a very nice feature. Actually looks okay on high-resolutions displays. Power Bingo doesn’t add too much to the original formula. Players that aren’t keen on Bingo won’t get the most out of this one. Conclusion: Big Spin Bingo is yet another Bingo game for Android and if you’re looking for one with a little more humanity in it, then this is a good option. The fact that the numbers are spoken aloud as you play might seem like a small thing, but it does make a big difference. 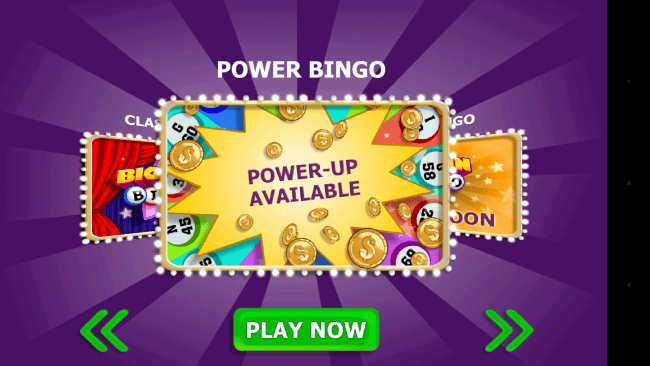 Power Bingo is a new type of game mode that allows people to experiment with Bingo and power ups and could be a good way of getting veteran players to try something new. The post Sponsored Game Review: Big Spin Bingo appeared first on AndroidHeadlines.com |.